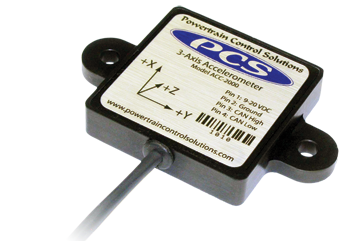 The PCS second generation 3-axis accelerometer has been enhanced with the addition of a 3-axis gyro. This solution provides both lateral and angular acceleration over CAN in one small package. The module is sealed to IP67 and designed for 24V systems.